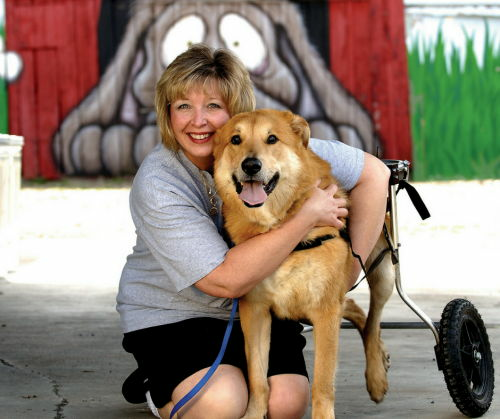 Terri Panszi admits that she didn’t have a strong business plan when she founded the Animal Rescue Fund in 1998. In fact, she didn’t really know what a not-for-profit business was. Her main concern was simply to save as many animals as she could, adopting them from the Muncie Animal Shelter before they were euthanized and eventually renting a separate space to accommodate them all. Since that time, the Animal Rescue Fund (ARF) has received an outpouring of support from volunteers, donors, and The Community Foundation, which has allowed Panszi to continue what she believes is her life calling. Panszi recalls Don Bell from the Foundation coming by her facility in that first year and explaining to her what a not-for-profit business was and why it would be in her best interest to create one. ARF became a 501c3 in 1999, and the business grew from there, though finances were a continuous struggle. Paying for rent and vet bills became more than Panszi could afford, and she believed she would have to close her doors until someone from the community bought her a new facility, thus eliminating rent expenses. "The legitimacy and pride that the endowment has brought to me and to my business is something I can’t even describe." On a daily basis, ARF cares for at least 200 animals, providing health care and nutrition for strays and abused pets that would otherwise end up in the shelter. ARF has a no-kill policy, which increases vet bills and limits space. 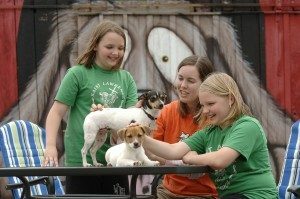 Funds from the endowment are sometimes used to pay for veterinary care or for expanding the facility and its programs. ARF now has a bark park, an adoption center, a cathouse, a pet food pantry, sterilization clinic, and more.